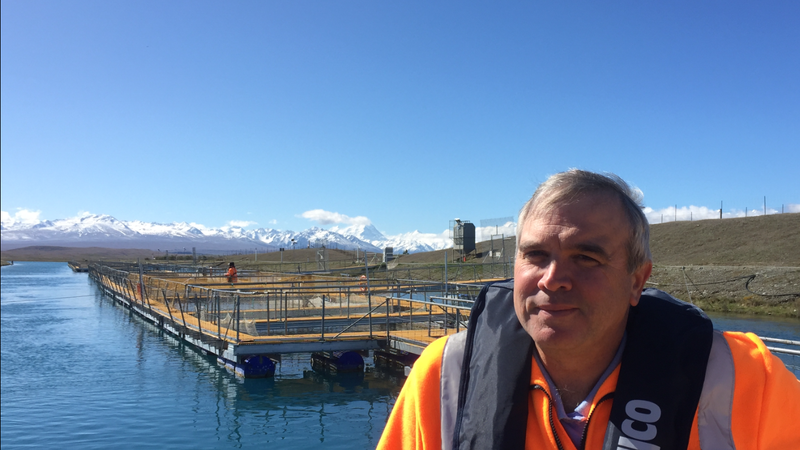 Mt Cook Alpine Salmon is delighted to announce the appointment of Brian Blanchard as Director of Aquaculture. Mr Blanchard will be based in Twizel at the centre of the company’s operations. This is a new role for the company and Mr Blanchard will be a member of the senior management team with responsibility for all its salmon farming operations including the company’s hatcheries. His appointment is the culmination of a six month search across the globe to find the highest-calibre candidate with the requisite leadership skills, industry experience and cultural fit appropriate for the rapidly-growing company. “Much of our salmon is produced for high-end export markets where customers expect us to perform and deliver to a set of global benchmarks,” said CEO David Cole. Mr Blanchard, 50, holds a Masters degree in Science, majoring in Aquaculture, from the University of Hull, England, a Graduate Diploma in Aquaculture Technology from the Marine Institute of Newfoundland in Canada, a BSc in Biology from St Francis Xavier University and numerous alumni awards for his contribution to the aquaculture industry. Mr Blanchard has relocated from Canada with his wife Sharon to take up the full time role. “This is a spectacular opportunity to be involved with a company that has a clear strategy to produce the best salmon in the world and believe me, this really is the best salmon I have ever tasted,” said Mr Blanchard.